It’s not often that a team riding a high crest of success will do something that’s fan friendly and not designed to extract every cent from your wallet, but the NFC Champion Carolina Panthers are doing just that. You can now go to a Panthers game starting this coming season and get free refills of Pepsi drinks for the entire game. 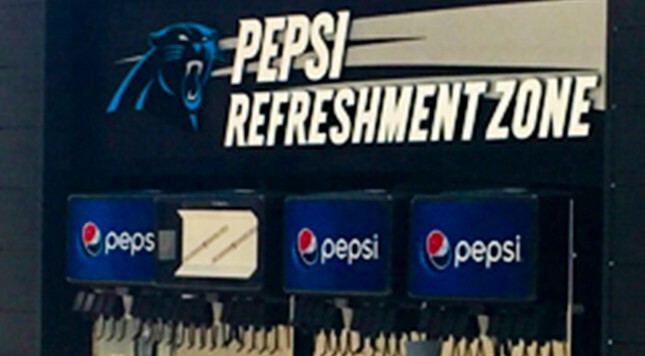 The Panthers tested the all-you-can-drink model last season and heard nothing but positive comments on the change, said Scott Paul, the Panthers’ executive director of stadium operations. Okay, so it wasn’t completely altruistic of them, but it’s still a nice little thing to get free Pepsi at a football stadium. One would hope that one of those soda dispensers can survive a tough loss to the Saints, but I guess we’ll find out soon.